Possible Uses of Febuxostat: Febuxostat is used to lower uric acid levels in people with gout. Febuxostat works by reducing the amount of uric acid made by the body. Increased uric acid levels can cause gout. Before using Febuxostat: Before taking febuxostat, tell your doctor or pharmacist if you are allergic to it; or if you have any other allergies. This product may contain inactive ingredients, which can cause allergic reactions or other problems. Talk to your pharmacist for more details. How to take Febuxostat: Read the Patient Information Leaflet provided by your pharmacist before you start febuxostat and each time you get a refill. If you have any questions, consult your doctor or pharmacist. Take this medication by mouth with or without food, usually once daily or as directed by your doctor. Dosage is based on your medical condition and response to treatment. Use this medication regularly to get the most benefit from it. To help you remember, take it at the same time each day. You may have more gout attacks for several months after starting this medicine while the body removes extra uric acid. Febuxostat is not a pain reliever. Your doctor may prescribe medication (such as colchicine, NSAIDs such as ibuprofen, naproxen, or indomethacin) to prevent/treat a gout attack during the first several months you are taking febuxostat. Continue to take your prescribed medicines for gout attacks as directed by your doctor. Tell your doctor if your condition persists or worsens. Precautions When Using Febuxostat: Before using this medication, tell your doctor or pharmacist your medical history, especially of: cancer, heart disease, liver disease, kidney disease, organ transplant, stroke. During pregnancy, this medication should be used only when clearly needed. Discuss the risks and benefits with your doctor. It is not known if febuxostat passes into breast milk. Consult your doctor before breast-feeding. Side Effects of Febuxostat: Nausea may occur. If this effect persists or worsens, tell your doctor or pharmacist promptly. Remember that your doctor has prescribed this medication because he or she has judged that the benefit to you is greater than the risk of side effects. Many people using this medication do not have serious side effects. Febuxostat may rarely cause serious (possibly fatal) liver disease. It may also cause an increase in liver enzymes. Your doctor will order blood tests to measure these enzymes. Keep all medical/lab appointments. Tell your doctor immediately if you develop symptoms of liver disease, including persistent nausea, stomach/abdominal pain, dark urine, yellowing eyes/skin. Tell your doctor immediately if any of these rare but very serious side effects occur: chest pain/pressure, sudden tiredness, weakness, jaw/left arm pain, weakness on one side of the body, slurred speech, sudden vision changes, confusion, pink/bloody urine, painful urination. Febuxostat may cause a rash that could be a sign of a severe reaction. Therefore, tell your doctor immediately if you develop any rash. Drug Interactions of Febuxostat: Drug interactions may change how your medications work or increase your risk for serious side effects. This document does not contain all possible drug interactions. Keep a list of all the products you use (including prescription/nonprescription drugs and herbal products) and share it with your doctor and pharmacist. Do not start, stop, or change the dosage of any medicines without your doctor's approval. 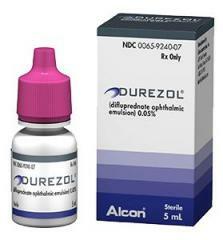 Some products that may interact with this drug include: azathioprine, mercaptopurine. Missed dose of Febuxostat: If you miss a dose, take it as soon as you remember. If it is near the time of the next dose, skip the missed dose and resume your usual dosing schedule. Do not double the dose to catch up. Overdose of Febuxostat: If overdose is suspected, contact a poison control center or emergency room immediately. Storage of Febuxostat: Store at room temperature at 77 degrees F (25 degrees C). Brief storage between 59-86 degrees F (15-30 degrees C) is permitted. Keep all medicines away from children and pets. Other Information of Febuxostat: DO NOT SHARE THIS MEDICINE with others for whom it was not prescribed. DO NOT USE THIS MEDICINE for other health conditions. KEEP THIS MEDICINE out of the reach of children. IF USING THIS MEDICINE FOR AN EXTENDED PERIOD OF TIME, obtain refills before your supply runs out.